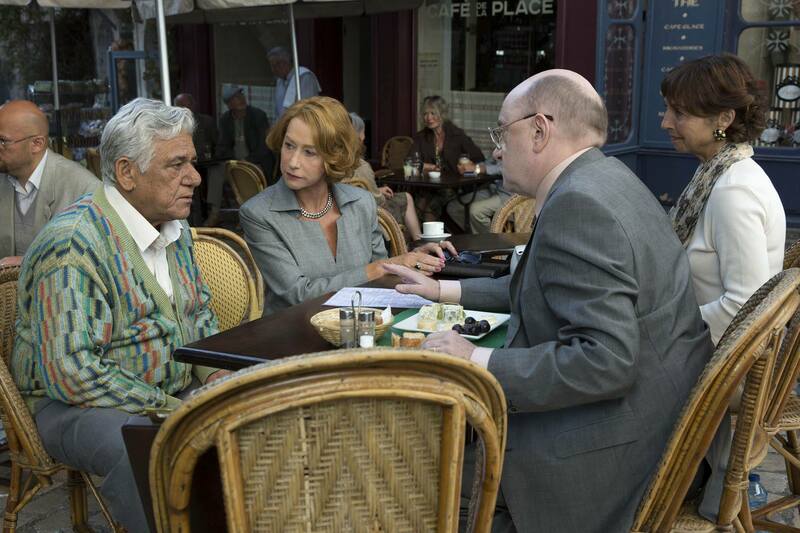 The world has so many unique cuisines, so it was inevitable that one day, two would go head to head: if you love Indian food, if you love French food, if you love food in general, this movie is to watch ASAP. 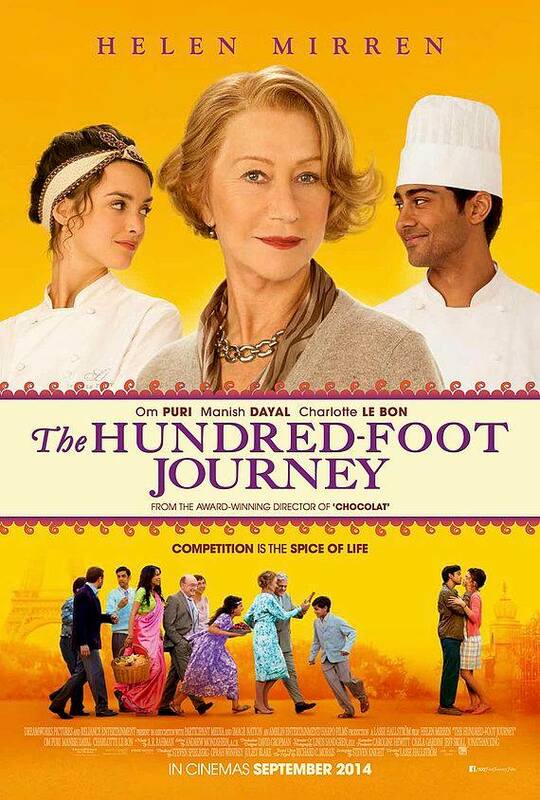 “The Hundred-Foot Journey” tells the story of Hassan Kadam (Manish Dayal), a man with dreams of being a chef. 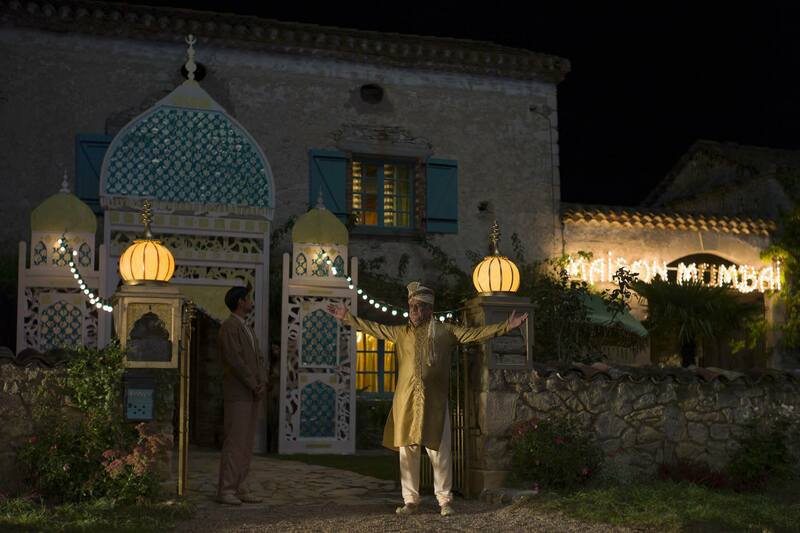 When Hassan and his family are forced to leave their native India, they travel to Europe, and, led by Papa (Om Puri), they decide to settle down in the picturesque village of Saint-Antonin-Noble-Val in the south of France, and do what they do best: cook Indian food. However, the home they have purchased, and renovated into the ‘Maison Mumbai’, happens to be a hundred feet across the street from a Michelin starred restaurant, le Saule Pleureur, run by Mme. Mallory (Helen Mirren). Along the way, Hassan falls for the talented sous-chef, Marguerite (Charlotte Le Bon), who cultivates his passion for food. As the film began, the interesting concept started to fall into classic formulaic. The struggles of a ‘fish out of water’ family in a very different country, trying to adapt to the culture while remaining true to their own has been seen time and time again on the big screen, though perhaps not with Indians in France. However, I was still entranced by the stunning images of food, the fresh local markets I know so well, and it kept me in the film long enough for the formula to suddenly… switch. You can probably predict half the plot just by having read the synopsis, but when a few of the villagers graffiti slurs on the Maison Mumbai’s wall, and attempt to light the restaurant on fire, it is the reaction of Mme. Mallory, who up until now had been the film’s main antagonist, that caught me by surprise. I sat, staring in shock at the screen, amazed by what I was seeing. It was then that the film had me hooked. Culturally, most of the French still have a strong sense of culture, and a fear of being erased by globalization (just see Asterix and Obelix, beloved French comic book heroes, and how they are actually a metaphor for the American cultural invasion). Many, especially in the south, feel very strongly against the increasing flow of immigrants. “La France aux Français” (France for the French), the graffiti on their restaurant, is unfortunately a popular slogan down in the south and was painful to see. It’s a real shock, bringing you out of the sense you were watching a lighthearted comedy to the truth of what it is. This is a film about clashes: the clash of classic and new, the clash of Indian and French cultures and cuisine, the clash of natives and immigrants. And it does so gorgeously. The director uses different filming techniques to reflect upon the divide, as well as shockingly different music, and, it seems, a combination of multiple genres. As the film progresses away from the initial comedic clash of two rival neighbors, and slowly focuses more on Hassan’s own struggle to become a chef, and his ultimate rise to fame and glory, the style changes again, and the story seems to flow naturally. The love story, however, seems much too contrived to be believable. It seems as through the writers are throwing Hassan and Marguerite together because of the need to make this a love story as well, and it just doesn’t seem to work. The other love story, the one that progresses slowly, behind the scenes, the one I will not give away for fear of spoiling it, is much more enjoyable to watch and to root for. In the end, it seems to say that France, just like a good dish, can be enhanced by other cultures, in this case, Indian, just as Hassan combines classic French gastronomy with his love of spices from his homeland. It is a gorgeous movie for food lovers everywhere, though predicable in most places of its plot. It is a feel good drama which leaves a lovely taste in your mouth, but won’t be getting any Michelin stars anytime soon. • That mayor cannot be French. NO ONE orders a doggy bag at a restaurant. • Where are all those fireworks coming from? We don’t get that many fireworks. • Papa means ‘dad’ or ‘daddy’ in French, which really confuses me when people other than his children call him that. Awkward. Hong Kong: A Food Haven for Cheapskates?